Tickets €22 available from www.ticketmaster.ie & outlets nationwide. 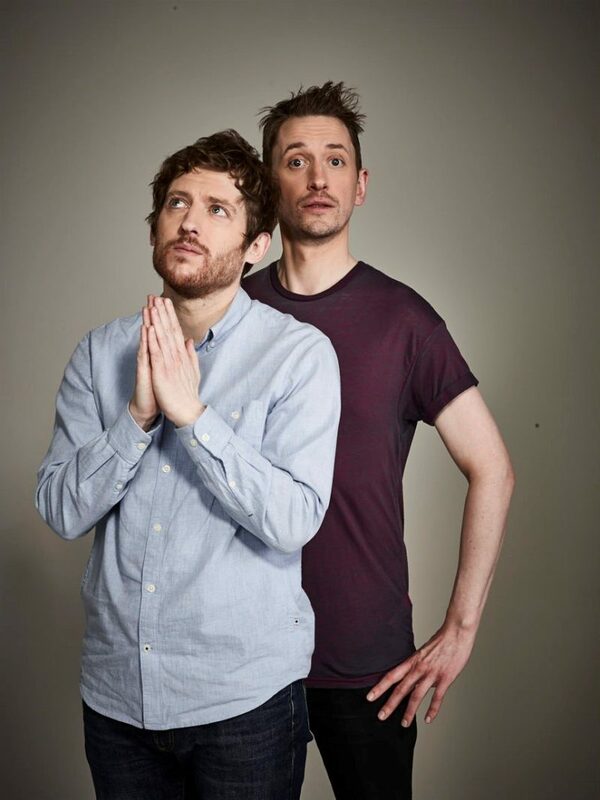 Aiken Promotions proudly presents a very special night with Elis James and John Robins. Their two Irish shows for 18th & 19th January are rescheduled to 22nd and 23rd May. Their Dublin show will now take place in The Liberty Hall, previously Tivoli Theatre. All tickets purchased for previous dates will remain valid for new dates. Join Elis and John for a live reading from their debut book ‘The Holy Vible’ in Belfast, 22nd May and Dublin 23rd May. Over the course of the reading they will deal with topics such as Shame, Ronnie O’Sullivan and Gorky’s Zygotic Mynci and also give a rare glimpse into the off-air world of commercial digital indie radios most unproduceable presenters. Booking signing opportunities will be available on the night.